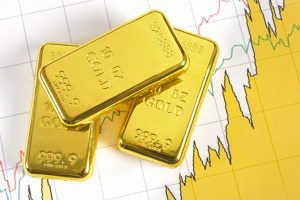 What Affects Price of Gold? The price of gold is determined by supply and demand, which are functions of the two most basic human emotions: fear and greed. Yet gold is unique among markets in that newly mined supply is inherently limited, its extraction rate being roughly equivalent to new population growth on a year-over-year basis. Meanwhile, all of the gold ever mined in the history of humankind is generally available to the market, albeit at widely variable prices and circumstances. Gold has seen increased safe-haven investment demand, as the US and China have engaged in an escalating series of trade wars. The most significant form of gold demand in western nations comes from institutions, individuals and central banks that purchase it due to its function as a lasting store of value. We are living during a monetary experiment that has never been tried before on a worldwide basis, in which not a single currency is backed by any gold whatsoever. Private ownership of gold thus takes on increased importance. At various times, gold performs better or worse as a hedge against fiat currency depreciation, geopolitical risk, and declines in conventional asset classes. Investor psychology determines how gold will perform over time. Investors should pay attention to overall trends in market direction, as gold may move opposite to how conventional wisdom would suggest for years at a time, and at certain critical turning points. Gold is a store of value is because of its natural properties: limited supply, resistance against corrosion, extreme divisibility and portability, and aesthetic beauty. Gold is the best store of value in the world. In an era when not a single government currency is linked to any tangible asset, the need for gold as a store of value is greater than ever. With only 0.79 ounces of gold available aboveground for every person alive today, it would take only a small portion of the world’s population to wake up to this age-old wisdom for the price of gold to be forced upward by a multiple of its present value.